H o m e o f c l a s s i c s a l s a m u s i c - f o r l i s t e n i n g a n d d a n c i n g ! Welcome to Salsa International Records - the New York based Latin music label and distributor specializing in classic Salsa, Latin Jazz and Tropical music. Want to buy some of our CDs? Click here for our online shop with secure ordering facilities. 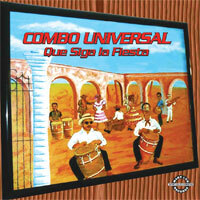 Chino Acosta's extended Sonora Caney 'orquesta' playing the bigger salsa dura sound. 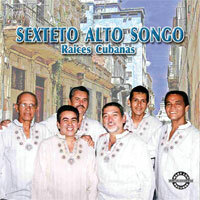 Leader of Sexteto Alto Songo, Rafael Rosales, runs a music shop in Colombia and loves the old school salsa sound. 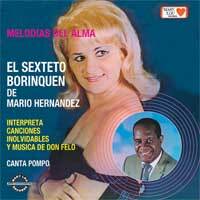 His is also a dedicated follower of Cuban music, so it is little wonder that his sexteto's first release should be a swinging mixture of the two! 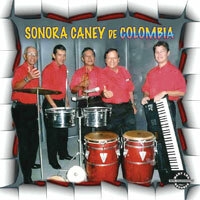 The second release from Sonora Caney continuing their salsa dura style. The band is based in Barranquilla, Colombia and is led by trumpeter Chino Acosta. New re-issue of a classic recording originally on the JMC label. Joe Cotto El Magnifico Y Su Super Orquesta with vocalists Markos Millan and Chivirico Davila. Latin big band, guaguanco, mambo, jala jala, and bolero from the 1960s-70s. New re-issue of a classic recording on the Mary Lou Records label. 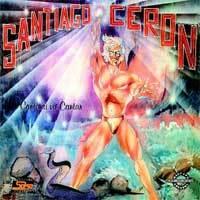 Santiago Ceron - Classic salsa album from sonero Santiago Ceron, accompanied, as always, by the cream of the latin musicians in New York. Funky Latino rock from New York City's Bronx area, recorded in the late 1960s. "...The Ghetto Brothers, a community organization dedicated to bridging the ever-increasing gap that exists between society and minority groups, believe music to be the common language of the world...". Re-issue from Mary Lou Records. The singer on this album is Pompo. Swinging New York Charanga band led by pianist Hector Leguillow. La Charanga Sensual was founded in 1977 by Orlando Aviles, a Purto Rican resident in New York. In 1978 he was joined by fellow Puerto Ricans violinist Joe Medina and Hector Leguillow who went on to become the musical director. 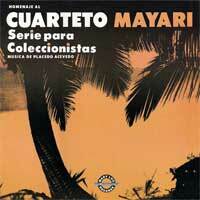 This CD album features the band at their swinging best, with guests such as Alfredo De La Fe and Felo Barrio. Re-issue of a classic recording on the Mary Lou Records label. First time on CD. New recording new release on Mary Lou Records. 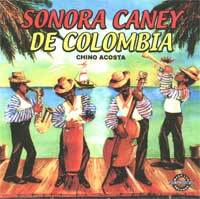 Sonora Caney - new recording of salsa dura from Colombia! You can buy any items from our catalogue online in our 'virtual store'. We accept most Credit Cards and payment is via a Secure Server link. To enter our shop click here. If you are a shop that sells Salsa and Latin Jazz music CDs then contact us for our full stock list. With over 200 different album titles SALSA INTERNATIONAL is moving into the digital age. Currently we are digitally re-mastering our entire Latin catalogue for issue on Compact Disc. 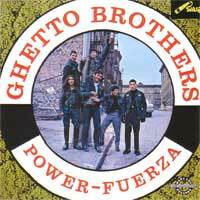 Amongst these titles is work by some of the biggest names in Latin music history - Charlie Palmieri, Ghetto Brothers, El Rey Carlos Y Su Corte, Louie Ramirez, Bobby Marin, Santiago Ceron, Chivirico Davila, to name but a few. Lost classic albums, long the domain of avid collectors, will be re-issued on CD and subject to demand vinyl LP as well. Some of these now legendary albums are by such artists as THE BROOKLYN SOUNDS, THE GHETTO BROTHERS, ORQUESTA CAPRI, BOBBY QUESADA, and the Puerto Rican Kid himself WILLIE RODRIGUEZ and his Orchestra. Salsa International Records is a New York based music label releasing and distributing Salsa, Latin Jazz and Tropical music. You can buy any items from our catalogue online in our online store. We accept most Credit Cards and payment is via Paypal. To enter our shop simple click here. If you are a shop that sells Salsa and Latin Jazz then get in touch and we can do some business, so please contact us. Compilation of New York salsa! one of New York finest! Strong latin album from Palmieri at the heights of his power. 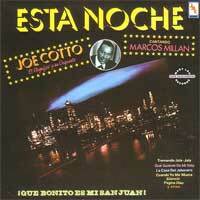 Chivirico with the Joe Cotto Orquesta with a selection of some of his best numbers. "It's mega trombones, all star rhythm section and funky variety of vocals makes this CD a must have." Strong trombone led salsa conjunto from New York. Arrangements by - Isidro Infante, Louie Ramirez, Charlie Lopez and Orlando Felix. Captures Isidro Infante's arrangements at their best - little wonder that he shortly afterwards became the hottest arranger on the salsa scene. All content copyright 2009 Salsa International. All Rights Reserved. For further information or enquiry please use our contact form.